I know, I bet you are so sick of hearing about SPF, I know that we have not had a summer in about 20 years, I know that it is amazing to be having the same temperatures as parts of the Med. I really do know all of this, but just because we finally have a little sunshine and heat the last thing you should do is forget all of the good work that you have done over the past 20 years to get your skin to look perfect and diminish the chances of getting skin cancer. Now, I am not saying to stay indoors and not enjoy the heat just be sure to be protected. I am one of those annoying people who has to make sure that their skin does not go too dark, one time when I came home from a holiday nobody said that I had a lovely colour, I heard ‘oh you’re very brown’ way too many times!! I was a really dirty brown, not good at all. Last week I decided that as it was the hottest weather that we have had in many years that I should lay a patio, yes myself and my Glenn, moved 108 slabs, one whole tonne of gravel into the back garden and proceeded to lay a patio, so now Gay Gardens has a dining area, which was used all weekend, and I am browner than I have been in years! I didn’t get this colour when I was on the Costa del Sol a few years ago. Now, it is a proper farmers tan with lovely white bits everywhere! Morto!! 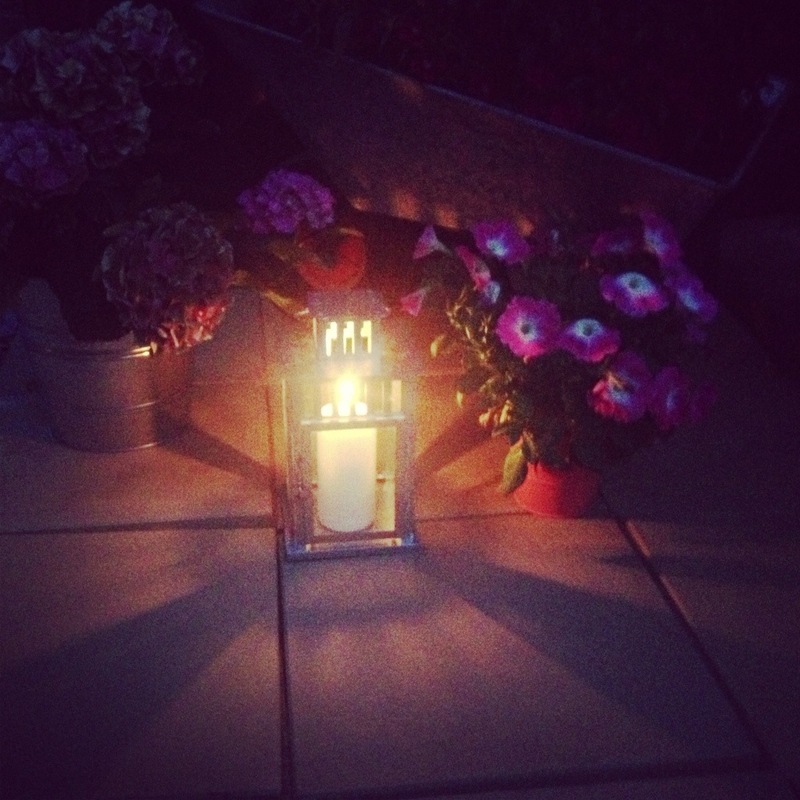 The patio by candle light. While I was being all manly and butch building stuff I was being all camp and fabulous by wearing a hat, applying buckets of SPF 50 and standing with my hand on my hip while using a beautiful fan that I got in Spain!! There is a vision for you!! So the moral of this story is to please not forget to use SPF on any part of your skin that is exposed. Also remember that if your SPF is factor 50, you are only protected for 50 minutes, so you need to reapply every 50 minutes and the same goes for factor 30 SPF you are only protected for 30 minutes and so on. I use an array of SPF products, depending on what I can afford. I never use an SPF below SPF30 on my face, summer and winter. This past week I have been using SPF 50 on my face, I was using my Estee Lauder UV Defense SPF50, which I wrote about here, I ran out of that on Thursday and then moved to my Kiehl’s SPF 50, which is almost gone too so I am going to have to get another SPF for my face. 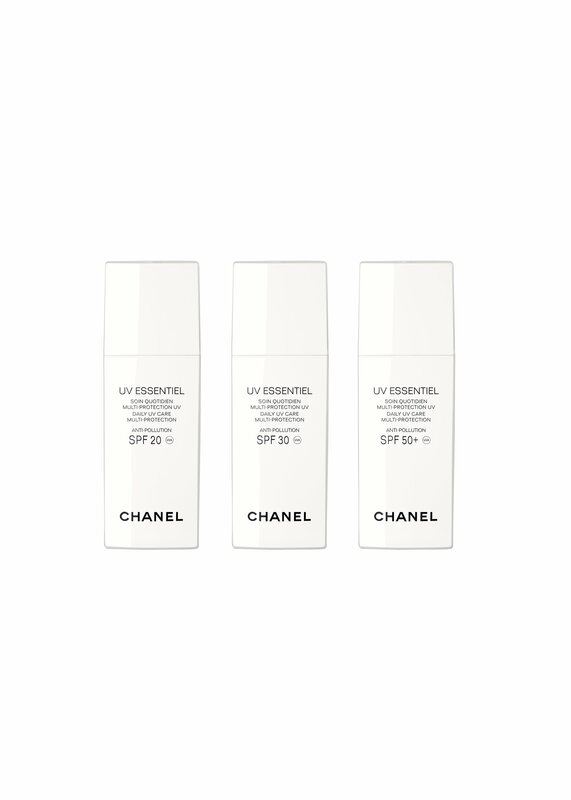 I think I am going to get the new UV ESSENTIEL from Chanel which comes in SPF 20+, 30+ and 50+, the + means that you are protected from all types of damaging UV rays, I will be buying the 50+ of course. Not only does this SPF protect you from the sun it also has anti-pollution properties. On my body I have been using The Reparative Body Sun Lotion SPF 30 from Creme de la Mer, which is amazing! It has La Mer’s Miricle Broth inside so it works at hydrating your skin while protecting it. It is pricey but worth it if you can get it, €80.00 at all Créme de la Mer counters. I wrote about the whole sun range here. 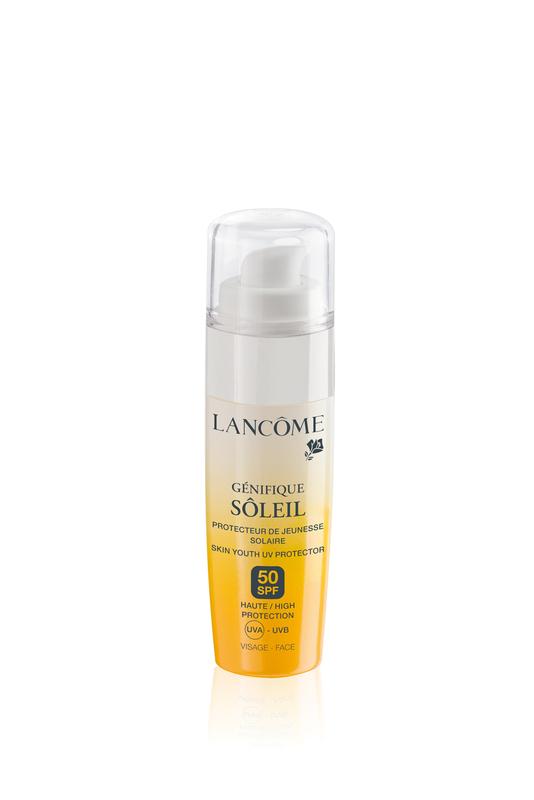 Another amazing range of SPF’s comes from Lancôme’s Génifique Soieil, this protects your skin from UV rays while also protecting your collagen producers, ladies please form an orderly Que!! 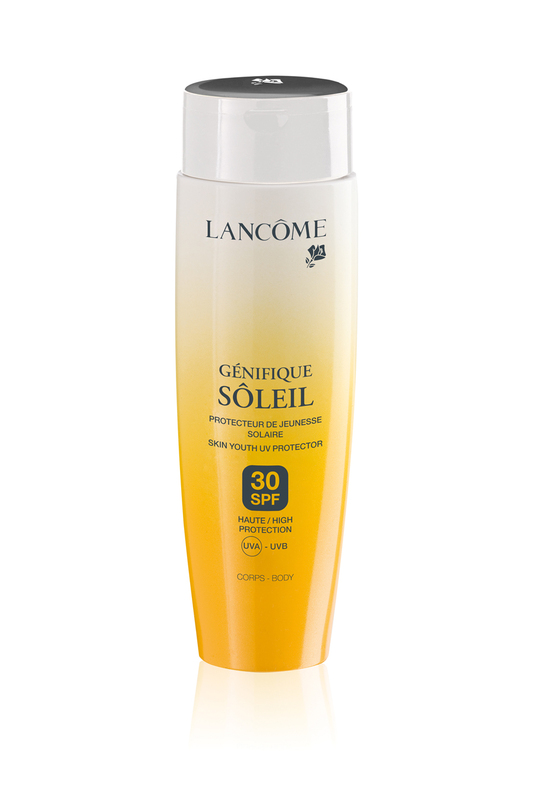 Available from all Lancôme counters and costs €28.50 for both face and body protection, ranges from SPF15 – SPF50. At the weekend I heard horror stories about people not protecting their children from harmful UV rays, stories about kids ending up in the burns unit in hospitals because they didn’t have any sunscreen on. This is unacceptable, there are so many easily accessible SPF’s that are not expensive but that also protect your kids skin, some of them last for hours. Boots Soltan Once for kids lasts for 3 hours water play has SPF50 and only costs €22.99. Something like this is an essential purchase for the hot weather. If you are concerned about chemicals in sunscreen, you should check out Trilogy’s range, the highest factor that you can get is SPF15, so you will need to apply it every 15 minutes, a task I would not be happy with if I was minding my niece Jessica, who hates having sunscreen applied! You can get all Trilogy products in Arnotts and at good health stores.